USC PAM provides FREE guided tours for grades 3-12 from schools of all types, Wednesday through Friday from 10:00 am until 12:00 pm. 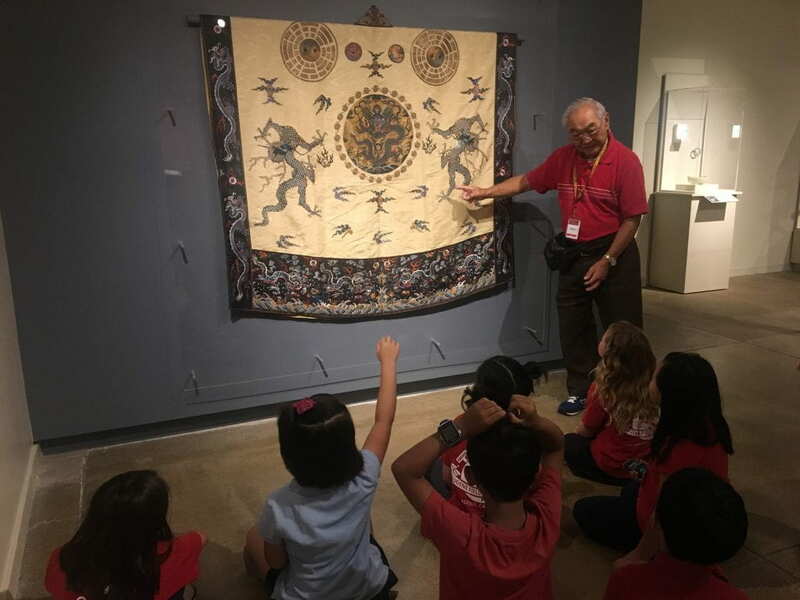 Specially trained docents guide students in interactive explorations of the museum’s treasures that promote learning, understanding, creativity, and critical thinking. 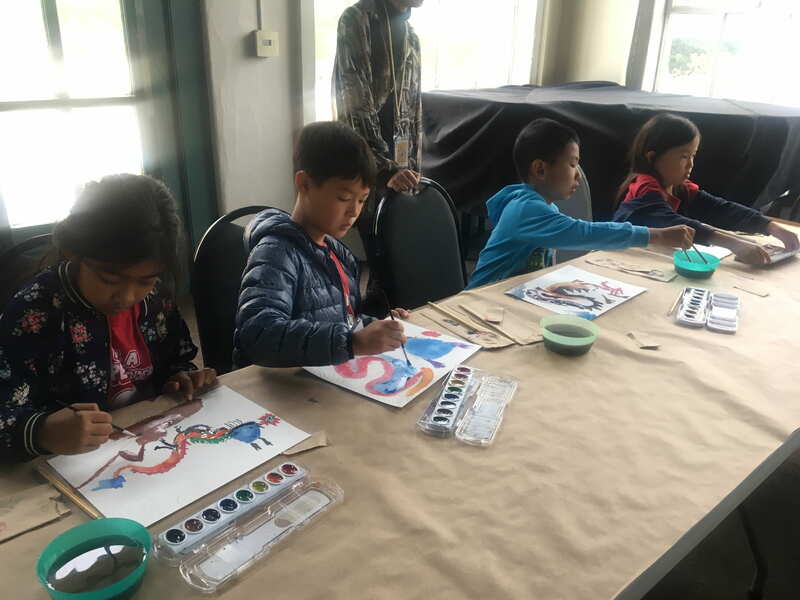 Art workshops are led by professional teaching artists and enhance the experience by providing students an opportunity to create art while learning more about Asia and the Pacific Islands. Field trips are comprised of a 1-hour guided tour and a 1-hour art workshop, unless otherwise requested. Groups of 30 students or fewer take the tour followed by an art workshop. For Groups of 30-60 students, half of the students will go on a tour, while the other half participates in the workshop. The two groups will then switch to give students both experiences. A fee of $200 will apply for independent schools and after-school/youth/summer groups. *NO self-guided school tours are offered at this time. Please read USC PAM School Tour Guidelines before submitting an application. The museum offers limited bus scholarships for Title 1 public schools, available on a first-come-first-serve basis.We start taking requests on August 1st of each year and will notify scholarship recipients of their status within two weeks after application submission. Awarded schools are signed up for a bus by education staff and are responsible for confirming their reservation with the bus company. Applications for school tours for the 2018-19 school year are now open, click button below to apply! 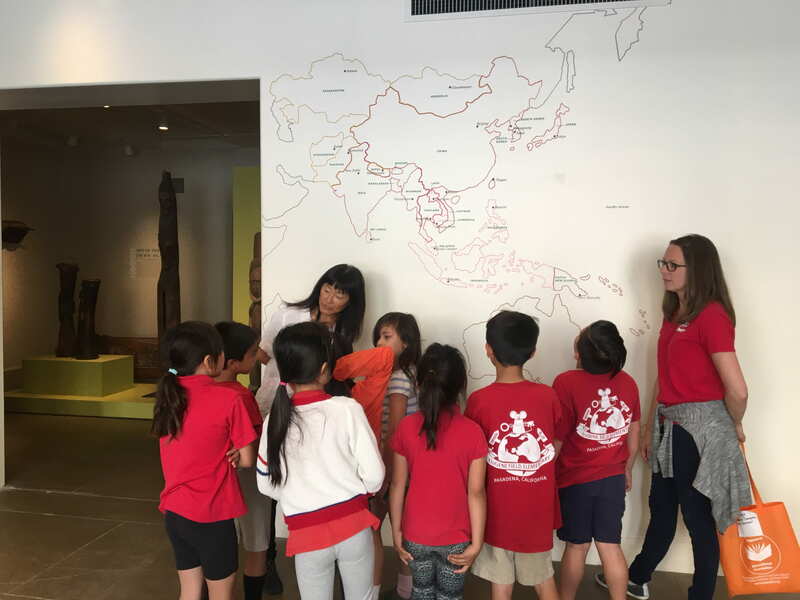 In partnership with Pasadena Unified School District, USC Pacific Asia Museum is pleased to be participating in My Masterpieces, an award-winning innovative partnership between Pasadena’s schools and cultural institutions. My Masterpieces brings Silk Road-themed art, social studies, and creative writing lessons to local 6th graders, as they design historic characters, work as a team in a virtual caravan, and encounter objects from the museum’s collection in their travels. The students also enjoy a free visit to the museum, where they explore the collections with a docent, and engage in a hands-on art activity.